The best Arabic Language blogs from thousands of top Arabic Language blogs in our index using search and social metrics. Data will be refreshed once a week. Also check out Arabic Youtube Channels. Arabic Language newsletter is a comprehensive summary of the day's most important blog posts and news articles from the best Arabic Language websites on the web, and delivered to your email inbox each morning. To subscribe, simply provide us with your email address. About Blog The fastest, easiest, and most fun way to learn Arabic and Arabic culture. Start speaking Arabic in minutes with audio and video lessons, audio dictionary, and learning community! Facebook fans 16,907. Twitter followers 1,781. About Blog This community is primarily for people who are actively trying to learn Arabic. It can also be for discussions of culture, news, etc, in or relating to Arabic and the Arab world. We are a new community and open to suggestions! Facebook fans 1,133,119. Twitter followers 497,913. Nashua, NH About Blog This Blog brings powerful, world-class language-learning technology to libraries, educational institutions, government organizations, corporations, and curious individuals. This blog is our place to share our passion for Arabic language and culture. Facebook fans 261,100. Twitter followers 8,750. About Blog Blog by Matthew Aldrich.I am a teacher, author, and language enthusiast. I have created the ebooks and other materials on Lingualism in an effort to provide quality learning materials for learners of Arabic. I tend to focus on materials for spoken varieties of Arabic, especially Egyptian Colloquial Arabic. Facebook fans 1,070. Twitter followers 719. About Blog If you a learning Classical Arabic, this is a blog you must follow. Posts on Classical Arabic Poetry, learning tips, advice, and great resources for Arabic. Jordan About Blog Profound the knowledge of your Deen by learning Arabic. A small step into a huge road. It includes everything from basic alphabet to grammar, vocabulary rules, reading, writing and many more. Facebook fans 2,316. Twitter followers 29. Cairo, Egypt About Blog Welcome (Ahlan wa sahlan)! My name is Suzan Mohammad Elmaghraby . I am an Arabic teacher for Non native speakers since 2006. I work with many students from all over the world. I teach Modern Standard Arabic and Egyptian Colloquial. While I am teaching the Arabic language I realized that I (as an Arabic Muslim teacher) should talk about other things connected to the Arabic language. Such as the Arabic culture and misconception of Islam. Cairo, Egypt About Blog This blog is a largest and most rapidly growing, community-driven database of spoken dialect material for Arabic learners online. Facebook fans 4,506. Twitter followers 223. Dubai, United Arab Emirates About Blog ArabiCollege is an educational college that teaches Arabic to non-Arabic speakers around the world, through 24/7 live online sessions and virtual classrooms. Our mission is to provide an opportunity to everyone from all around the world to learn Arabic from the comfort of their homes through online interactive courses. Facebook fans 10,844. Twitter followers 25. About Blog Language immersion is the key to learning a foreign language. FluentU brings language learning to life through language immersion with real-world videos. Here you will find Learning resources for Arabic language. Facebook fans 215. Twitter followers 39. London About Blog This Blog provides a comprehensive service for anyone who wants to learn Arabic in London. Our tutors are experienced native speakers from all over the Arab world. They use a unique range of Arabic learning materials to make Arabic accessible to all. Facebook fans 24. Twitter followers 23. About Blog Here you will find Resources for learners and teachers of Arabic. 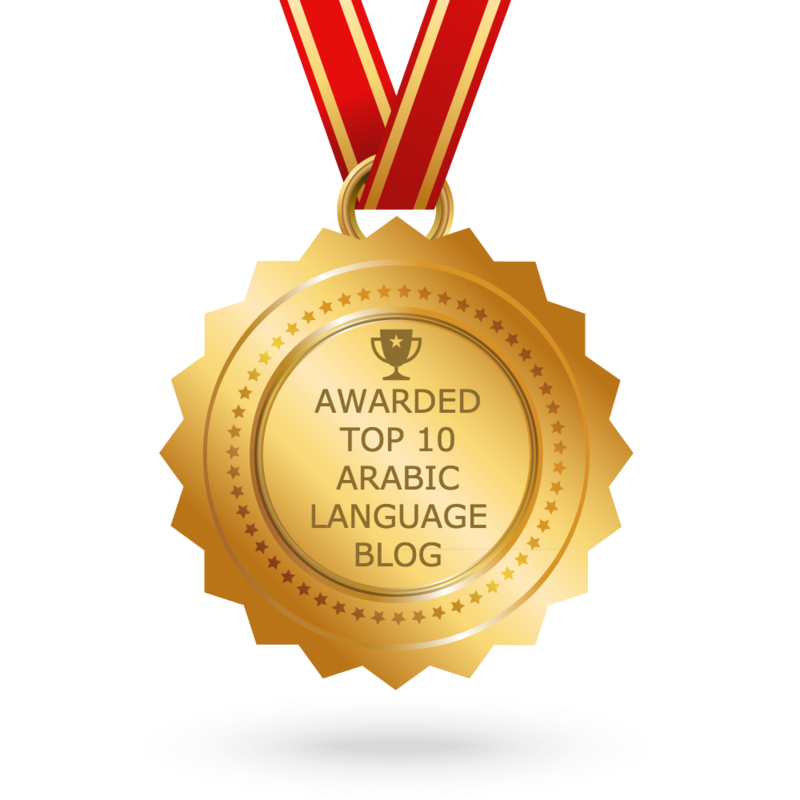 CONGRATULATIONS to every blogger that has made this Top Arabic Language blogs list! This is the most comprehensive list of best Arabic Language blogs on the internet and I’m honoured to have you as part of this! I personally give you a high-five and want to thank you for your contribution to this world.